Finca Cortesîn is an 18 holes championship golf course designed by world famous golf course architect Mr. Cabell Robinson who worked many years for the Robert Trent Jones Group. With an spectacular layout, the main features are the length of the course (6,808 meters) and the great variety of its natural vegetation which includes olive trees and corks. The 18 holes are very unique since every hole is completely different to the others, making the game more enjoyable. Technically speaking, it is important to emphasize several features as the very wide fairways (up to 50 meters), and the beautifully shaped bunkers filled with white silica sand. Tee boxes are very high quality (every hole has several tee platforms so the player always finds them in perfect shape). Without doubt, the greens are one of Finca Cortesîn jewels, as they all have slight brakes and the quality to be extremely fast. The course has a Golf School and a Golf Academy (Jack Nicklaus Golf Academy). 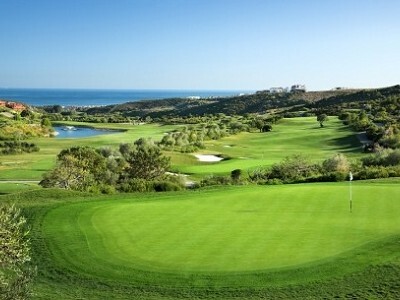 Finca Cortesin hosts one of the most important and historic events on the European Tour, the Volvo World Match Play Championship. The World Match Play, formerly played at Wentworth Golf Club, puts together one of golf’s strongest fields with 16 of top players in the World.